With more than 10 million copies sold internationally, and 7 million copies in print in North America alone, P.C. and Kristin Cast's House of Night series, featuring fledgling teenage vampyre Zoey Redbird and her friends at the Oklahoma House of Night vampyre boarding school, is more than just another vampire series. A big part of the reason is its strong mythological underpinnings. 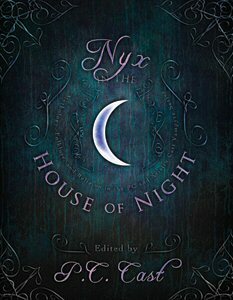 From Nyx, the goddess worshipped by the series vampyres, to the Cherokee legend that drives the plot, the House of Night series is infused with elements from multiple mythos and religious traditions to create a new, modern mythology all its own.